Tawny Owl In The Orange Forest, Autumn Beech Tree. 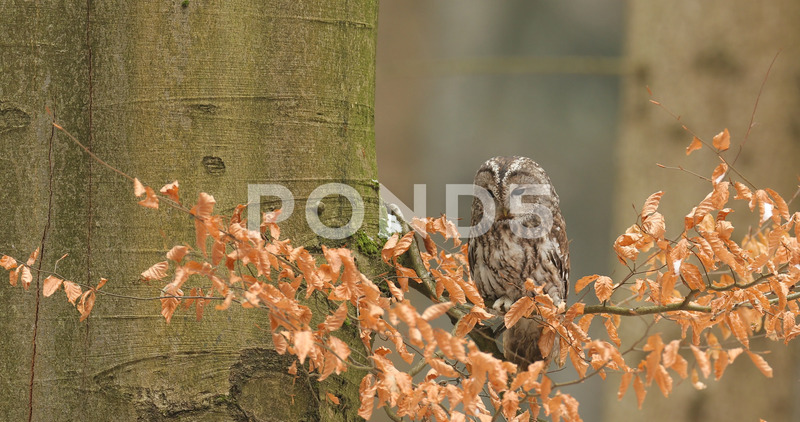 Description: Tawny owl in the orange forest, autumn beech tree. Bird in the fall forest. Strix aluco, portrait of cute bird with big eyes. Owl in the habitat. Wildlife scene from nature.